Massachusetts Governor Charlie Baker on Friday declared a state of emergency following gas explosions and fires in suburbs north of Boston that killed a teenager, injured 25, and burned or damaged as many as 80 homes. 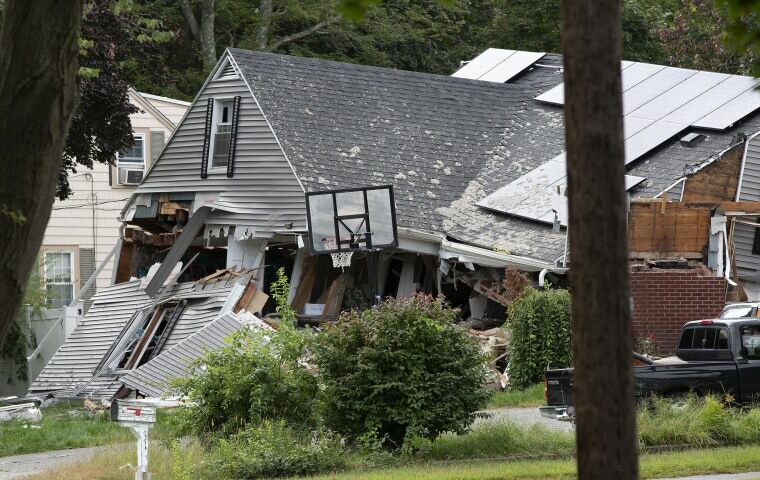 He faulted the response of Columbia Gas of Massachusetts, a unit of NiSource Inc., and essentially directed another utility, Eversource, "to take management control over the coordinated effort to safely restore utility services" in the affected towns of Lawrence, Andover and North Andover, the governor said via Twitter. Baker said he has ordered the state's chairman of the Department of Public Utilities to put Everource in charge of restoring gas service to about 8,000 homes affected gas service lines connected to the fires and explosions. Steven Bryant of Columbia Gas told reporters that the utility was still in the process of shutting off gas to all 8,000 customers, and as of 3 p.m. only 3,230 customers had been cut off. Authorities early Friday said that many if not most residents would not be allowed to return home until gas was shut off to all 8,000 addresses and teams of utility workers, firefighters and police officers had visited each one to determine that they're safe to inhabit. The cause of the fires and explosions was still under investigation by federal authorities. Baker said early Friday that they would certainly look into what role Columbia's plans to update gas lines in the area earlier on Thursday may have played in the incident.